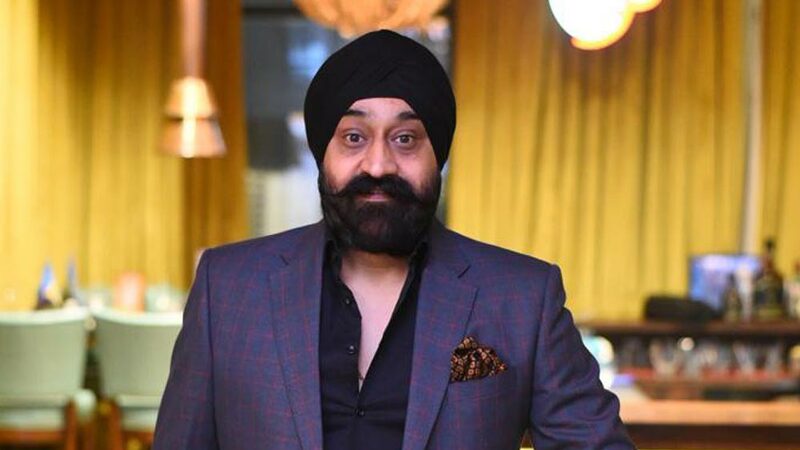 ﻿ "Sometime It is Difficult to Cater all the Need of Our Guest"
In a tete-a-tete with Restaurant India Manpreet Singh, Owner, Pinch of Spice talks about expansion plans. What was the inspiration? How much money you have put in to come up with this restaurant? Talking about inspiration, it has been in the blood of our parent company (Meharwing services pvt ltd). Mainly we drive our inspiration and motivation by the spirit of moving forward in life and with the dream of catering not only India but the whole world and give them the taste of Indian food with our corporate chef’s true vision and taste. Plus customer feedback has always been a true motivation and first priority for us. I have together put in Rs 11.5 crore combining the all restaurants. Pinch of Spice offers authenticity in each dish present on the menu and offers world class cuisines whether you are looking for traditional Indian food, Mughlai, Continental,Chinese,European or Italian. How difficult it is to run a multi restaurant? Tell us something about Pinch of Spice? How is Kiskey Whiskey different? Running multi restaurant is not a challenge provided the location is fine, food & service quality is intact and potential customers are adequate in numbers. The only challenge we face when we operate different concept people often start comparing the brands. Every restaurant has its own class and sometime it is difficult to cater all the need of our guest when they are dining at a casual dining restaurant and expecting a fine dining experience. We believe people are loyal to the brand and sometime it become difficult to convince them for giving a try to the other brands too. Pinch of Spice is an exclusive fine dining restaurant with exclusive interiors and amazing lighting, comfortable chairs run down the space, it has the dazzling gold of the ceiling lamps shining off the gloss of the wooden tables. It offers a perfect place for dining and bar to enjoy. Kiskey Whiskey is Agra’s first Indian Tapas bar, a Den that not only has fun filled surroundings but also the essence of the famous city and it's culture that reflects beautifully. Kiskey Whiskey feels special from the moment you open the door into the polished, regal spaces which incorporate the original Elephantic Bar.Kiskey Whiskey is known for its world class ambience, vibrant atmosphere, Sumptuous & delectable food. Our well stocked bar is ready to fulfill all the need of the guests. Especially the Cocktails, Mocktails, varieties of glassware and presentation of drinks is what makes us different from others. Our target customer varies from the age of 15-55 years which include college students, working professionals, female groups, corporate sector, business owners and their families. We get decent footfall at all our restaurant to fill up the restaurant. Most often people also wait for some time to get a table. How about designing the restaurants. What are the elements that you take care? How do you decide on a location when opening a new outlet? Why Agra? Decision upon the location solely depends on the potential of the locality. Agra is a well-known city on the world’s map. There are millions of people travelling from across the globe every year. There was no better restaurant option in for the travelers and local people; hence we decided to open our first outlet in Agra many years back. We still feel there is immense potential left in Agra. When we talk about the expansion plan of our company I would like to state that many outlets are in pipeline for B cities like Jaipur, Hyderabad, Lucknow and Assam.